This chunk of raw citrine is strait from mother earth.. 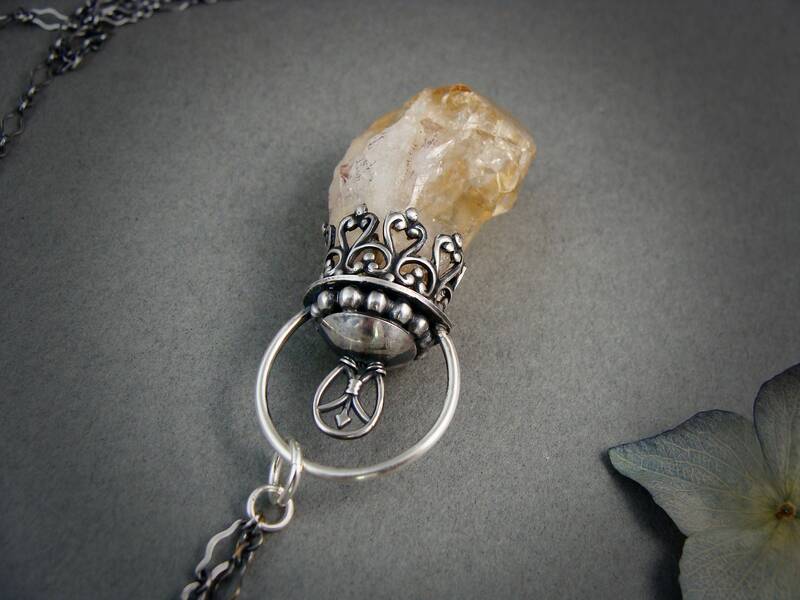 The stone has tiny little rainbow inclusions that sparkle from inside the gem. The stone has ben embellished with a pretty and feminine handmade sterling silver setting. The silver has been given a dark patina to contrast the bright sterling, and to give that time worn look. 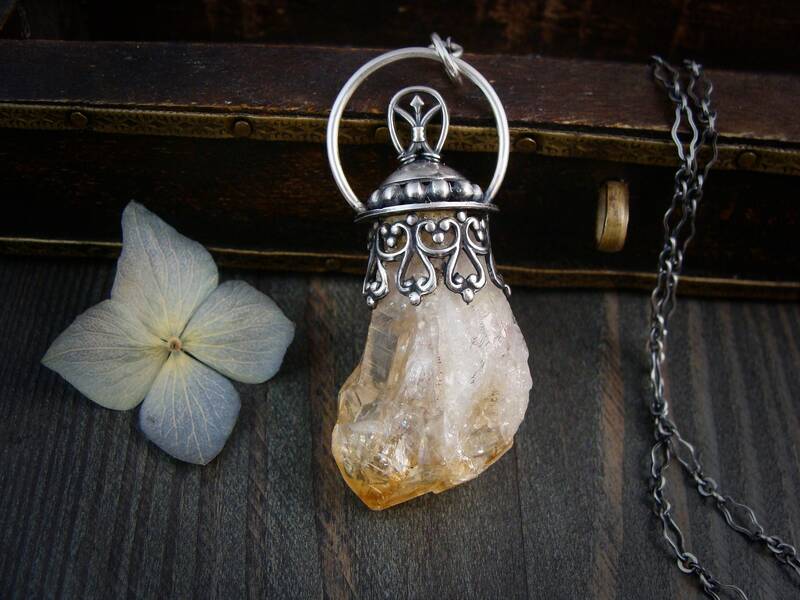 ☞ Pendant measures approximately 2"
Modeled on an 26" sterling silver chain. Please choose your chain length. 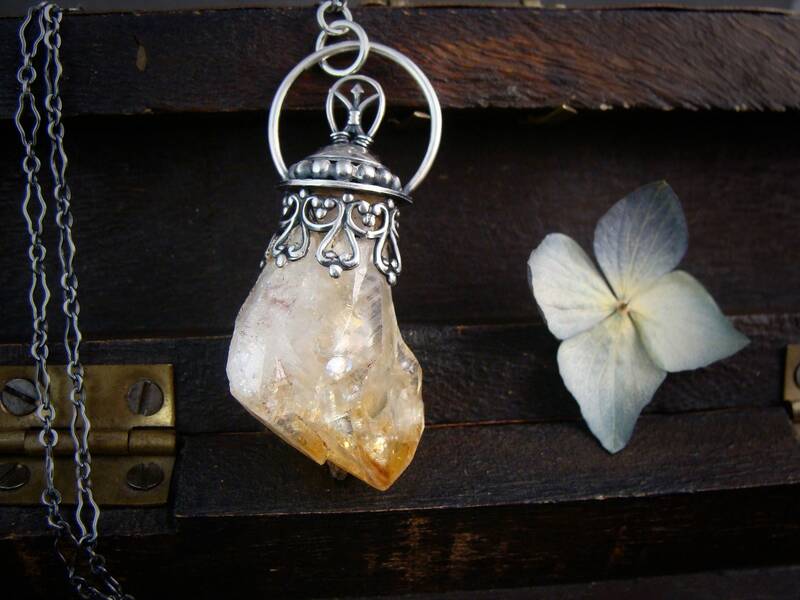 ☞ Gem lore ~ Citrine is believed to have great mystical and healing powers. It is a cleaning stone that detoxifies and purifies the body. 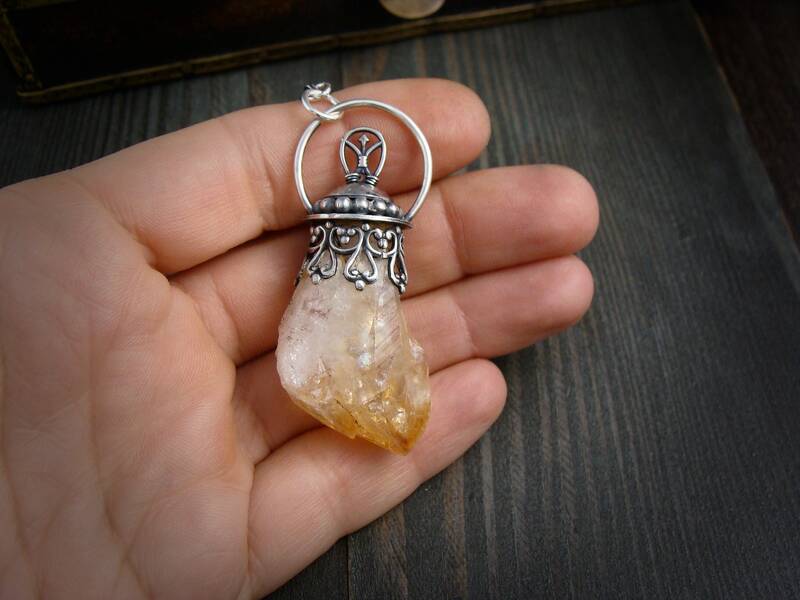 Carrying the warmth of the sun, citrine is thought to burn out all the negative energy, fears and phobias while increasing the emotional and intellectual balance. 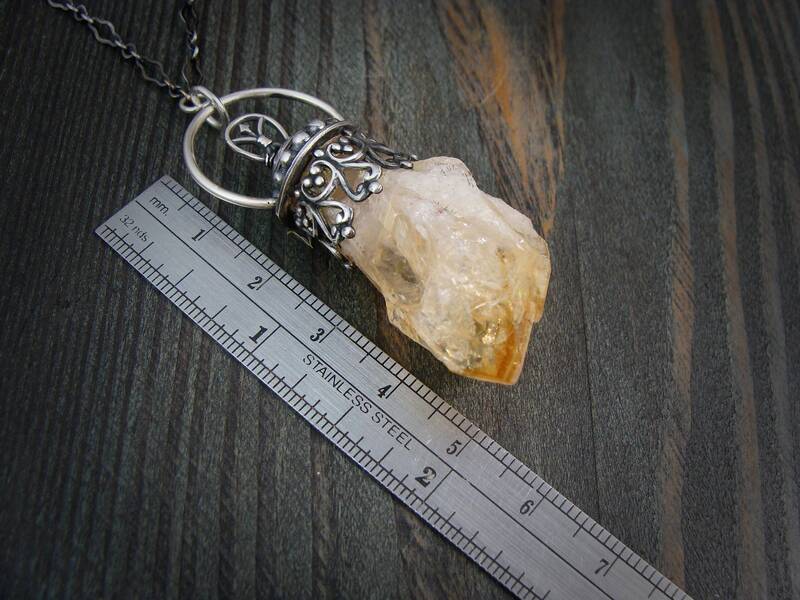 Citrine is also beneficial to your third or sacral chakra. If I had to pick one word to describe this ... “Magical”. Beautifully well made and very unique. 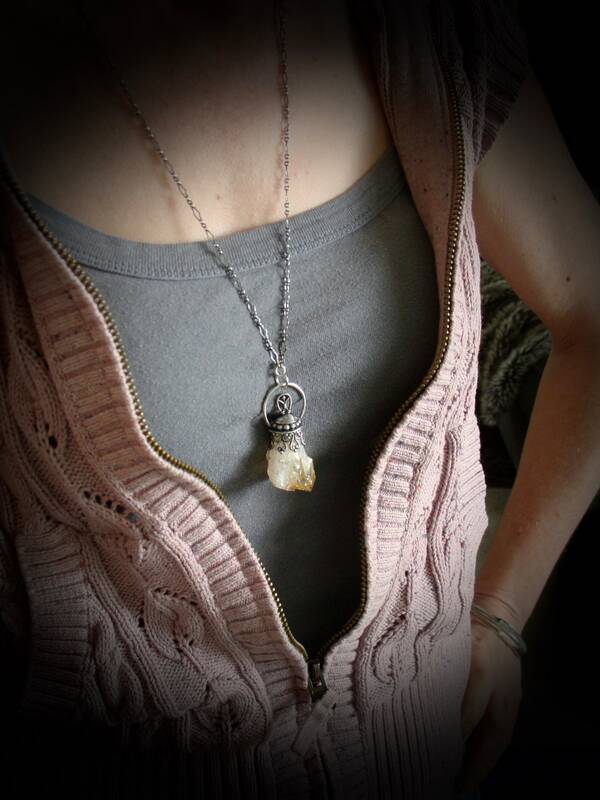 The chain also goes perfectly with this pendant. Thank you!